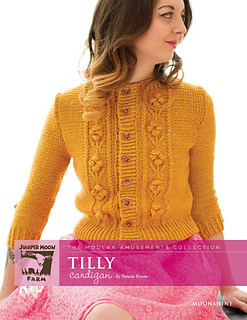 PDF available for purchase from Knitting Fever, Inc. 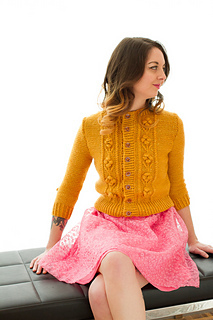 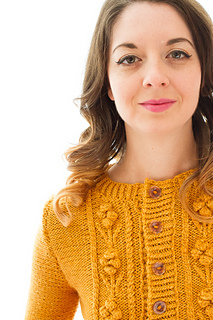 This cardigan features bobble-flower panels and details on a reverse-stockinette background. 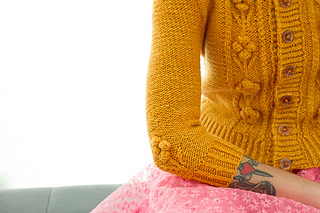 Cable/bobble panel is charted only.